A huge collection of cheats that include how to unlock bonus weapons, extra custom classes and modes. There's also a cheat for getting a ray gun on the second campaign. 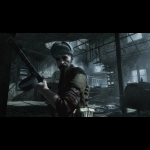 Check out these hints and tips which include sniping and how to survive on Nazi zombies and have 3 weapons. how to sirvive on nazi zombies!!!!!!!!!!!!!!!!!!!!!!!!!!!!!!!!!! We have 201 questions and 405 answers for Call of Duty: World at War. Check them out to find answers or ask your own to get the exact game help you need. How to unlock all levels for co-op campaign? It won't let me click on zombie mode or online mode? 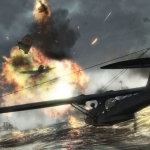 There are 55 achievements for Call of Duty: World at War, click here to see them. A large selection of videos for you to check out including maps and Death card locations. We've also got videos for the individual chapters including Blood and Iron, Blowtorch and Corkscrew, Ring of Steel and Breaking Point. 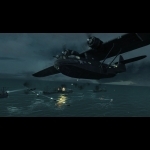 We have 28 Walkthroughs for Call of Duty: World at War. We have a large collecton of walkthroughs and FAQs which include a Der Riese guide, veteran mode guide and a weapons, stats and attatchments guide. How do unlock zombies quicker ??? sneaky uninvited cheating players on..